The 23andMe Forums are a place to form connections with fellow customers, ask and answer questions, and gain a better understanding of what you can learn from the 23andMe service. Any question relating to the 23andMe service, your results, genetics, or research is welcome, provided that the content adheres to the Posting Guidelines. The Forums can be accessed by clicking on Resources in the footer at the bottom of your homepage, or directly at https://www.23andmeforums.com when you’re logged in. Anyone with a 23andMe account can access and participate in the 23andMe Forums. Forums content is only available to logged in 23andMe customers. The first time you visit the Forums you will be prompted to log in and create a Forums username. Your Forums username and profile are completely separate from anything else in your 23andMe account. You can edit or update your username and other profile information at any time. To edit your profile information, navigate to your profile page and click the Edit Profile button that appears on the upper right. You will have the option to update profile information, including whether or not your email address is displayed on your profile. You can also add information relevant to your 23andMe account, such as a link to your family tree. From this page you can also edit your profile photo and notification preferences for the Forums. You can choose to receive email or pop-up notifications about updates to threads you follow, messages from other members, and more. Use the search box to find what you’re looking for. When you search before posting you may find the answer to your question more quickly, and you can avoid posting a duplicate question. Clicking the arrow on the right side of the search box opens the advanced search features, which let you search by author, category, tags, and more. Searching will only get more powerful as the Forums fill up with great content. There are 10 categories you can navigate to from the links on the left side of the page. When you start a discussion or post a question, you need to select which category best fits the topic of your post. You can also add optional tags to your post; you can view tags by typing in the Tags field or clicking Show popular tags. Make sure you use the appropriate category and tags for your comment or question. There are 2 posting options available – New Discussion and Ask a Question. To have an open-ended thread with other members, select the discussion option. If you have a specific question or need help, make sure to select Ask a Question. You will be able to select whether a reply answered your question or not. If you see a question that needs an answer, jump in! The 23andMe Forums now have their own messaging system. Having a great chat with another member? Want to exchange more specific info or arrange to share your 23andMe reports? Send a message. You can also message multiple people on the same thread, just like email. We may occasionally request that discussions that aren't of general interest to other participants be taken into a private message. We have Posting Guidelines – review and make sure to follow them. If you notice something that doesn’t seem right or that you believe is a violation of the guidelines, please report it. Keep in mind that it’s better to report something rather than responding yourself. With your help we can keep this forum a clean and friendly environment. The Forums also has tools to give positive feedback about great content; when you see something you like, you can click Like and let everyone know. We’re here to help! We’ll be monitoring and moderating the Forums, answering questions, and sharing news and updates. You can identify the staff by our badges – other 23andMe employees will also be badged. Want to earn your own badges? You get points toward badges by answering questions or posting content that other members like. The 23andMe Forums are a place to form connections with fellow customers, ask and answer questions, and gain a better understanding of what you can learn from the 23andMe service. Please review these guidelines before posting, and keep in mind that all use of the site is governed by these Posting Guidelines as well as our Terms of Service, Consent Document, and Privacy Statement. Messages or threads that do not meet the guidelines below are subject to closure or removal. Members who do not adhere to the below guidelines are subject to suspension of their posting privileges or banning. Be related to 23andMe and/or genetics. Examples of appropriate topics include questions or discussions about 23andMe reports, tools, or research, as well as genetics news and updates. Be authentic and original. Do not post copyrighted material, or any material that you do not own or that infringes on another party’s copyright, trademark or other intellectual property rights. View 23andMe’s DMCA Notification Guidelines. Respect other’s privacy. Do not post anyone’s personal information without their consent. This includes, but is not limited to, an individual’s full name, location or contact information. Be respectful. Don’t post any content that is offensive, hateful, sexually explicit, defamatory, or promotes illegal conduct. Profanity or obscenity, objectionable or violent language, harassment or threats, sarcastic asides, snide remarks, personal attacks or instances of hate speech will not be tolerated. 23andMe encourages active discussions, including those around potentially sensitive topics. Avoid comment spamming, excessive “bumping” or any other posting behavior that disrupts the experience for other participants. Do not interfere or attempt to interfere with the proper functioning of the Forum or the platform hosting the Forum. Be free of commercial material. Do not post or link to promotional or commercial material, advertisements or solicitations. If you see content that you think violates these Guidelines, use the flagging options to report the content in question. We will do our best to delete any content we find that violates these guidelines, and we reserve the right to remove any post for any reason. 23andMe has over 1 million customers globally, all of whom are able to participate in this Forum. Because the regulatory landscape of each country varies, the service 23andMe offers globally also varies. You may see postings by users from a different country from you that discuss reports that may not be currently available in your country. The Forum contains user-generated content. Opinions, advice, statements, offers, or other information or content made available through the Forum, but not directly by 23andMe, are those of their respective authors, and should not necessarily be relied upon. Such authors are solely responsible for such content. 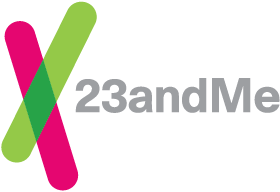 23andMe does not guarantee the accuracy, completeness, or usefulness of any information on the Forum and neither does 23andMe adopt nor endorse, nor is 23andMe responsible for, the accuracy or reliability of any opinion, advice, or statement made by parties other than 23andMe. 23andMe takes no responsibility and assumes no liability for any user-generated content that you or any other user or third party posts or sends through the Forum. Under no circumstances will 23andMe be responsible for any loss or damage resulting from anyone’s reliance on information or other content posted on the Forum, or transmitted to users. Though 23andMe strives to enforce these Guidelines, you may be exposed to user-generated content that is inaccurate or objectionable. We don't pre-screen any content, nor do we monitor all the content. 23andMe reserves the right, but has no obligation, to monitor the materials posted in the Forum or to limit or deny a user’s access to the Forum or take other appropriate action if a user violates these Guidelines or engages in any activity that violates the rights of any person or entity or which we deem unlawful, offensive, abusive, harmful or malicious.